NAIROBI (Reuters) - Nearly 200 countries signed a U.N. resolution in Nairobi on Wednesday to eliminate plastic pollution in the sea, a move some delegates hoped would pave the way to a legally binding treaty. If current pollution rates continue, there will be more plastic in the sea than fish by 2050, said the United Nations Environment Programme (UNEP) which organized the meeting. Eight million tonnes of plastic - bottles, packaging and other waste - are dumped into the ocean every year, killing marine life and entering the human food chain, UNEP added. “There is very strong language in this resolution,” Norway’s environment minister, Vidar Helgesen, told Reuters. Norway, which initiated the resolution, has seen the evidence of the damage the pollution causes first hand, he said. China is the biggest producer of plastic waste but has started making efforts to cut down, UNEP head Erik Solheim said. “If there is one nation changing at the moment more than anyone else, it’s China ... the speed and determination of the government to change is enormous,” said Solheim. Solheim eventually wants to see governments ban and redesign some packaging. Under the resolution, countries agreed to start monitoring the amount of plastic they put into the ocean. 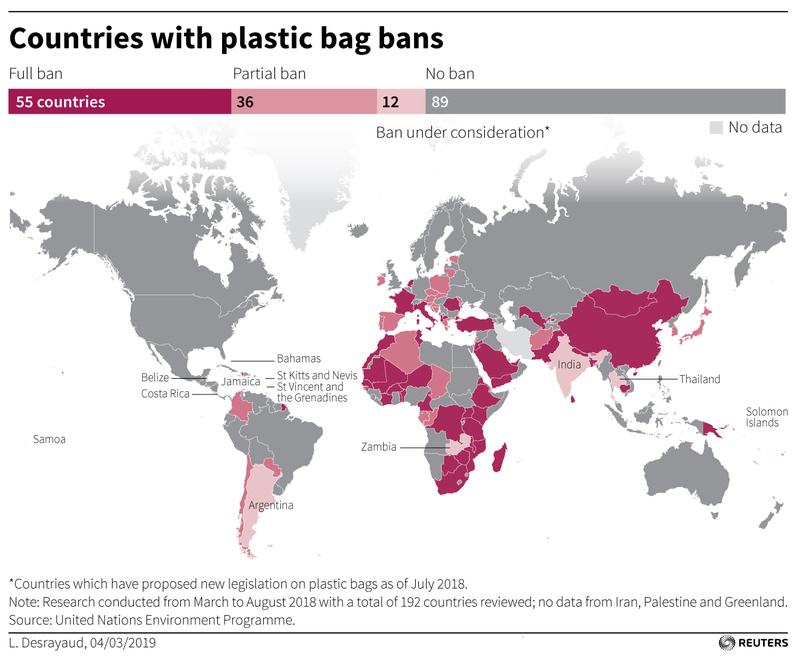 The resolution was signed by all l93 countries that are members of the U.N.
“While this is not a treaty, significant progress is being made ... 39 governments announced new commitments to reduce the amount of plastic going into the sea,” said the chief of public advocacy at UNEP, Sam Barrat.